George Gershwin (1898-1937) was a American composer and pianist. His parents were Russian Jews. He started studying piano sometime after 10 years of age. His parents had bought a piano for his older brother Ira, but George ended up playing it - to his parents' surprise and Ira's relief! 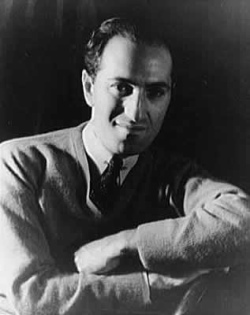 Gershwin left school at age 15, and started earning wages as a piano player/songwriter. He worked for a few different companies, making songs, recording, and arranging them. Ever since, he kept composing music. He wrote several Broadway shows, musical comedies, many songs, one opera, music for classical orchestra and so on. He also wrote a lot of music for movies. The lyrics for most of his works were made by his elder brother (Ira Gershwin). George Gershwin was special in the fact that he composed both "classical" and popular music. Most of us know even today know some of Gerswin's tunes, because they have been used so much in movies, in TV, and recorded so many times. Gershwin did not get married and did not have children. He did have a girlfriend though, Kay Swift. Gershwin died young, at the age of 39 years, from brain cancer. Gershwin's music is interesting. It sounds like popular and classical music at the same time. His music was influenced both by popular music, such as jazz and African-American music, and classical music, such as the French composers Ravel and Debussy. Use the resources below to listen to Gershwin's music. What do you think of Gershwin's music? Do you like it? Rhapsody in Blue is one of Gershwin's most loved works. It is written for orchestra and solo piano. Here's what Gershwin himself said about the inspiration for this piece, "with its steely rhythms, its rattlety-bang . . . I suddenly heard - and even saw on paper - the complete construction of the rhapsody from beginning to end. I heard it as a sort of musical kaleidoscope of America - of our vast melting pot, of our unduplicated national pep, of our blues, our metropolitan madness." In the video below, it is performed by pianist Martin James Bartlett, and conducted by Eric Whitacre. Here's another version of Rhapsody in Blue, this time arranged for FOUR pianos! Performing Gershwin Piano Quartet. The video shows scenes of this quarter's trip to China. Porgy and Bess is Gershwin's only opera. Gershwin called it a "folk opera." It is now thought of as one the most important American operas. The storyline in the opera takes place in an all-black neighborhood of Catfish Row. The music combines Black music, other popular music, and typical opera music. The video below is only a short preview, from San Francisco Opera. 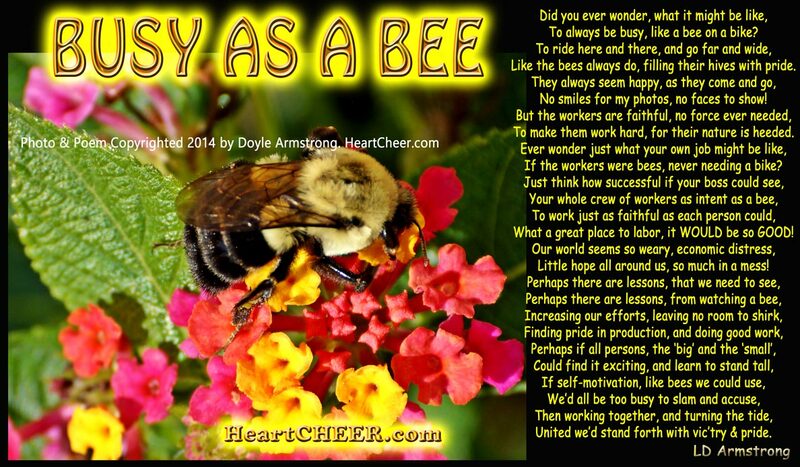 Summertime, a song from Porgy and Bess. Janice Chandler-Eteme singing, production by The Dallas Opera. "Summertime, And the livin' is easy. Fish are jumpin', And the cotton is high. Your daddy's rich, And your mamma's good lookin'. So hush little baby, Don't you cry." A part from "An American in Paris" with some tap-dancing (Gene Kelly and Leslie Caron)! The entire piece of "An American in Paris" performed by an orchestra full of young people: the New England Conservatory Symphony, conducted by Hugh Wolff. Gershwin wrote about of the work: "My purpose here is to portray the impression of an American visitor in Paris as he strolls about the city and listens to various street noises and absorbs the French atmosphere." Samples from An American in Paris as a ballet. By Boulder Ballet. Cuban Overture, performed by Teresa Carreño Youth Symphony Orchestra of Venezuela / Orquesta Sinfónica Juvenil Teresa Carreño de Venezuela. I Got Rhythm is originally a song, but here it is performed as a piano piece, arranged and performed live in recital by Leon Bates, 2009. An American in Paris. Artur Rodzinski conducting the Philharmonic Symphony of New York (The New York Philharmonic). Recorded in 1944. Includes audios for Rhapsody in Blue, Promenade, and Cuban Overture. Gershwin composed one piano concerto and Rhapsody in Blue for piano and orchestra. He also composed Three Preludes and some songs and rags for piano. At Piano Society different pianists share their performances for free.